These photos were taken on September 11. 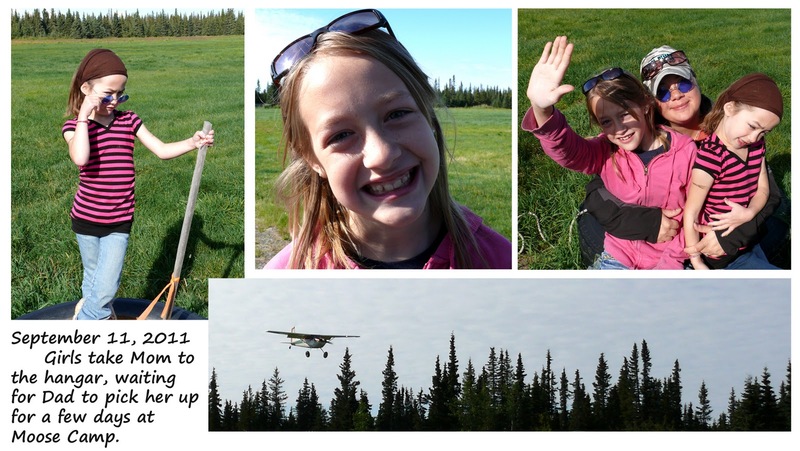 The girls and I drove Dae to the "hangar," waiting for Kevin to pick her up for a couple days across the Cook Inlet. 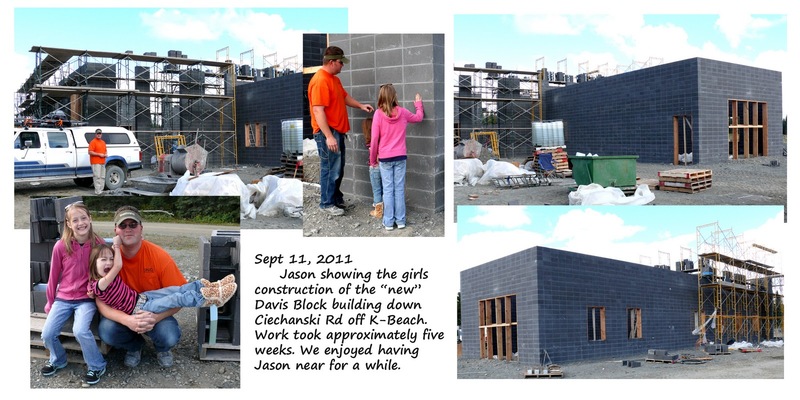 We stopped and saw Jason who was busy working on the new Davis Block building which kept him on the Kenai for a few weeks with a couple of brief visits home to ANC during that time.